Nonfiction Picture Book Wednesday – New nonfiction titles for spring! This week I’m featuring some new nonfiction releases – several of which were sent to me to preview from one of my favorite Canadian-owned children’s publisher – Kids Can Press. I’m a huge fan of any book related to seasons so was happy to discover this new one to add to my large collection of season books! This is a simple narrative text that includes Alice explaining to her friend Zack the reasons for the changing seasons. I really liked how the scientific concepts were weaved through the narrative. 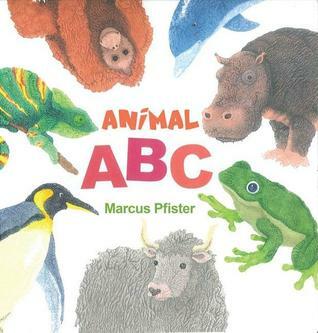 The illustrations are lovely and there are lots of great text features including charts and diagrams, and sidebars. There are even two helpful and rather funny chickens who help Alice by providing more of the scientific details. 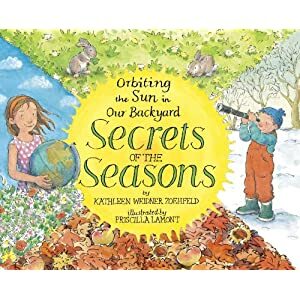 This would be a great book to read aloud to a primary class as an introduction to seasons and the earth’s yearly cycle. I love this husband and wife team from the UK and read many of their books to my boys when they were younger. There is something very sweet and charming about the illustrations and the faces of the young children in their books. 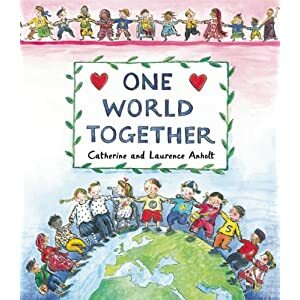 In this delightful new book, we take a trip around the world to meet children from lots of different places and peek into their lives. Every page is a new country and we see how children in different places in the world live, what they eat, where they live, etc. 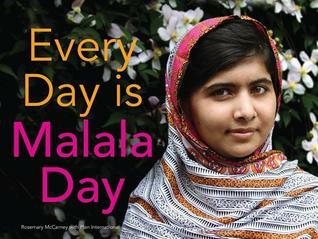 It’s perfect for comparing our lives to the lives of children all over the world. The countries featured are Brazil, China, Russia, Kenya, the Netherlands, Sweden, Japan, Morocco, and the United States. A great book to share to introduce a theme of cultural diversity to the younger children. A “ZOOBOT” is type of animal inspired robot designed using mechatronics – mechanical and electrical engineering combined with computer science. This sci-fi type book is set up like a animal book. On each page, we are introduced to a facts and stats about a different “zoobot” – and learn what animal it evolved from, its zoobot name, its super skill, its applications and its special operation. “Dash”, for example, is the robot that evolved from the cockroach) I’m not a particular fan of robot design but I can see how this book would be VERY appealing to many kids I know! 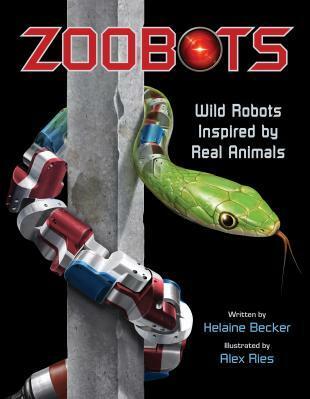 Even though the zoobots are not actually real – the book is informative and intriguing! WOW! This book is fascinating! I still have not read through every page because there is just so much to read and look at! Who knew there were whole worlds hidden below the grass and streets? 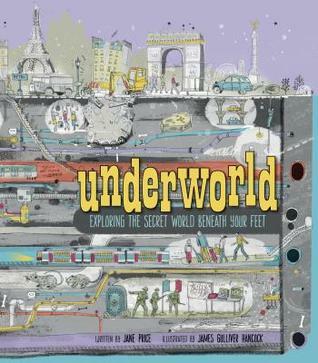 From caves to subways to mines to tombs, dungeons, trenches and buried treasures! WOW again! This is a book that you can spend hours looking through (I already have!) Every 2-page spread features a different underground world. The text is very accessible with many text features to help you navigate through the information. The captions and fact boxes are entertaining. I also loved the illustrations combined with many photographs. My favorite pages were the side view cross-sections. AMAZING! Well, I am a little ashamed to admit that I did not know that plesiosaurs were ocean-dwelling cousins of the dinosaurs! But now I do – thanks to this book! The story reads like a narrative, with many scientific facts woven throughout. 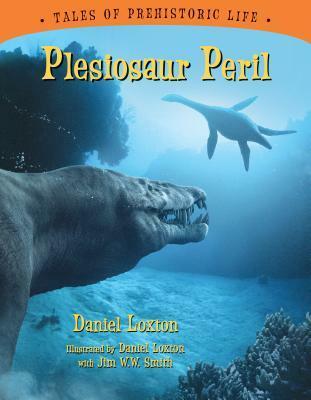 A pod of plesiosaurs keep safe by swimming in a family pod until one baby plesiosaur swims too far from its mother and encounters danger and the struggle for survival is on. This story is quite dramatic at times and I found the digitalized computer generated created life-like images. I am not a huge dinosaur fan but I know it will be a big hit for the dinosaur lovers at my school! An awesome resource book for teaching concepts about shape – focusing on the Square, Triangle and Circle. This book is overflowing with interesting information – from the history of shapes to odd and interesting facts, as well as instructions on how to make different shape-based projects. There are even some magic tricks included! (Super Circle on page 137 was a great trick!) I’m not sure who will love this book more – kids or teachers! 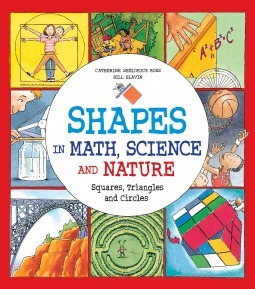 The illustrations are charming and there is a great section at the back that lists math formulas. Not a book to read cover to cover in one sitting but certainly one to pick and chose activities and facts to share. Well – it’s been a very exciting week of new nonfiction books! Thanks for stopping by and please let me know what book has caught your eye!